Take a look at the independent games featured at the Inside Games Showcase 2014. Inside Games was a special event preceding the British Academy Games Awards on the 12 March, giving the public the chance to play a wide range of highly anticipated games from the world’s biggest studios. The ‘Inside Games Arcade’ was also introduced - a curated games exhibition which gave guests a playable selection of some of the best independent games available; some of which will be released later in 2014. The following independent games were showcased within the arcade. Monument Valley combines Escher-influenced mechanics with minimalist designs. Throughout the game, players progress through rotation and perspective changes to move onto different levels and to create new pathways. 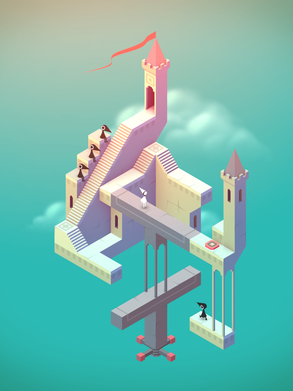 Ustwo Games have certainly proven with Monument Valley that every screen of the game can be a work of art. 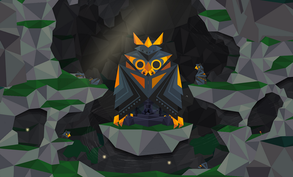 Vienna-based developers Broken Rul.es showcased the Secrets of Rætikon, an open world, 2D exploration game. Players explore the balance of technology and nature in rural landscapes through the eyes of a bird, and have the option to edit existing levels and even create their own. 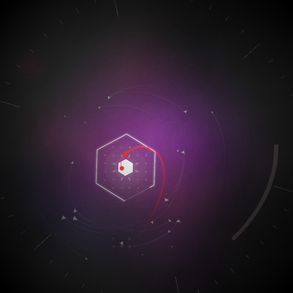 0rbitalis is a game that sets to defy gravity - with just a click. Originating from the Ludum Dare 48-hour game jam, players must launch probes to explore distant constellations, aiming to stay on screen safely for a long period of time without crashing into any other objects. Dream is the debut major release of UK game developers Hypersloth; a first person non-linear narrative that puts you into the perspective of a young graduate who develops an obsession with his dreams. 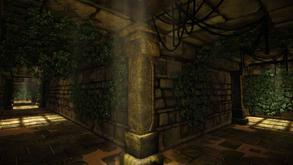 Their unique 3D environments integrate with the full use of the Oculus Rift device, enabling you to fully explore and take in the atmospheric gameplay. 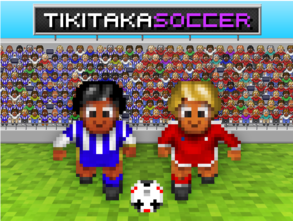 Panic Barn's Tiki Taka Soccer, a 2D football simulator uses retro-inspired controls and gameplay designed specifically for touch screen devices. The game also provides a RPG-influenced hook by incorporating a fun take on football manager roles, as well as player roles; going from lower leagues up through to football club peaks. 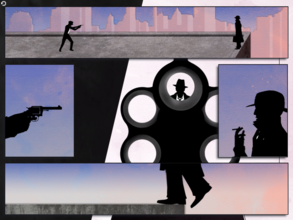 FRAMED is a story-driven detective game that uses interactive graphic novel-style panels as the main gameplay mechanic, combining animated storyboards with block-based puzzle games, and allowing the players to rotate, revolve and reuse panels to enable themselves to move onto the next stage. You step into the path of an unarmed robot, going on an isometric adventure through futuristic corridors. 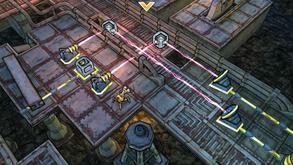 The game features comic-style visuals in different graphical themes, and overall is set up as a traditional block-shifting puzzle game with a sci-fi twist. CLARC was released late 2013 on the Ouya, and is now released on PCs, Android and iOS devices. 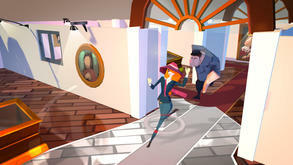 The streamlined stealth game follows the protagonist Miss Sophia Take travelling the globe, stealing back paintings and artefacts from audacious galleries. A non-violent action game by the team at Wonderstruck, The Marvellous Miss Take will be released for PC and smartphone devices later in 2014. 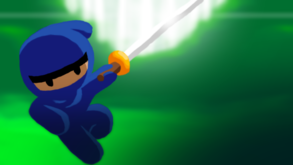 10 Second Ninja is a humourous, fast-paced and addictive game which allows you a mere 10 seconds to destroy as many robots within your vicinity as possible. Developer Dan Pearce was recently nominated in the Debut Game category for his game ‘Castles in the Sky’ at this year’s Games Awards and previously won the first BAFTA Young Game Designers competition in 2010. 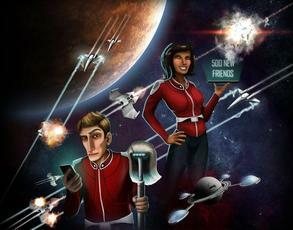 This game focuses on being aboard a space station where everyone around you is obsessed with using social networks. A comedic sci-fi simulator, Redshirt was developed by BAFTA Breakthrough Brit Mitu Khandaker-Kokoris as her debut title under the developer name ‘The Tiniest Shark’.